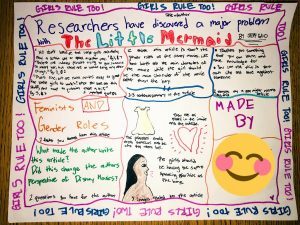 This blog post was written by NCTE member Jill Yamasawa Fletcher. “I hate reading in school,” sighed one of my most prolific sixth-grade readers, walking into my class early as was her habit. “What? Why?,” I asked surprised. Without realizing it, I was killing my students’ love of reading. I began to think of a different way to assess reading comprehension. I wondered what else I could use as an assessment that wasn’t an essay, constructed response, quiz, or short answer. 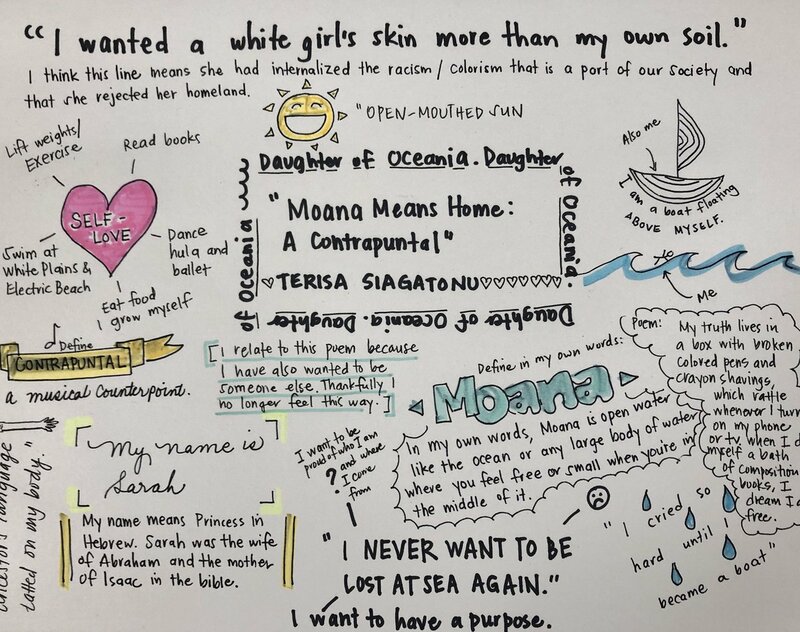 In a professional development session, I had learned about an approach for using a one-pager—an image-heavy, idea-driven assessment which prompts students to select the most meaningful ideas in a text, make connections to their own lives, and display the ideas creatively with color, drawings, and quotes. 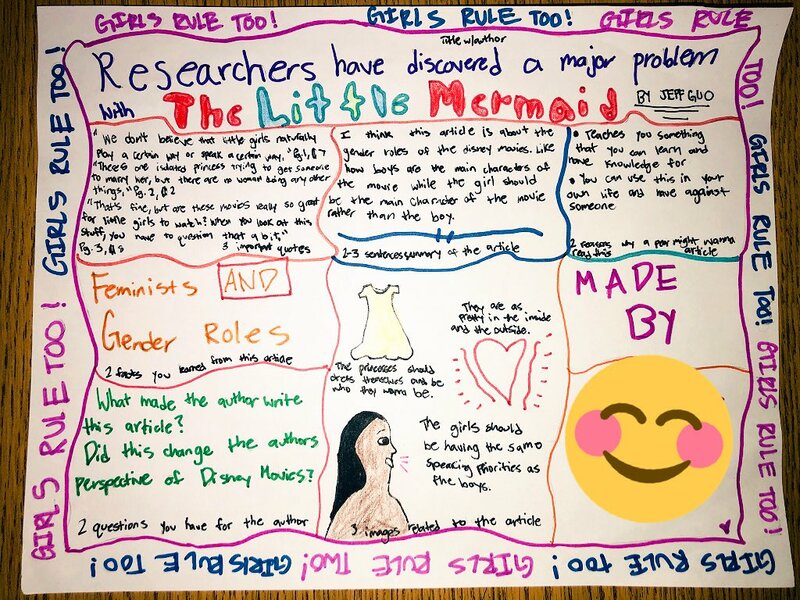 What I found was that many students who were strong in comprehension and discussion of texts didn’t necessarily write well about the texts, but were able to communicate their connections and the main ideas in a one-pager. 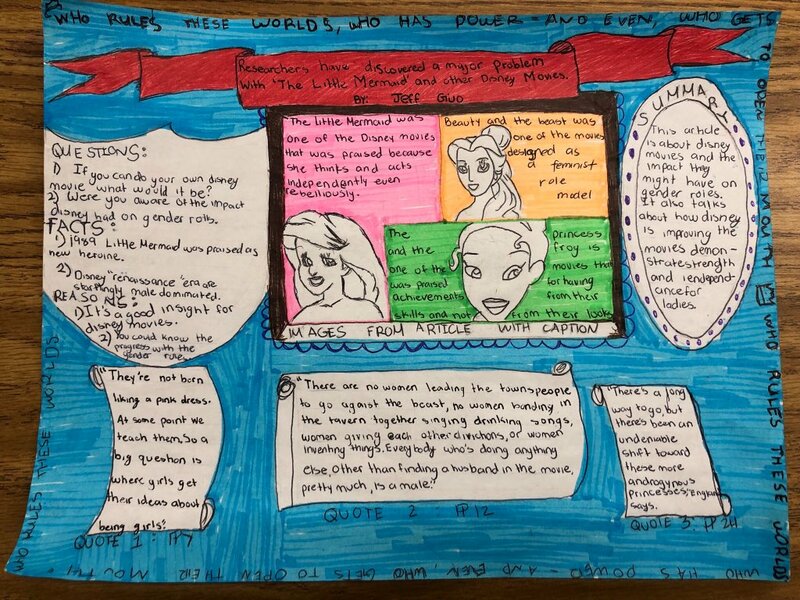 The one-pager made the writing component less intimidating, so students were focused more on the ideas in the text. They were not worrying about their transitions or writing a stance or a conclusion. As a result, a lot of anxiety was lifted when we did one-pagers as an assessment. This is not to say writing about texts is not a very important skill, but I want to emphasize that we can help students reach the skill of text comprehension through means other than writing about the text, which may be a barrier for some students. 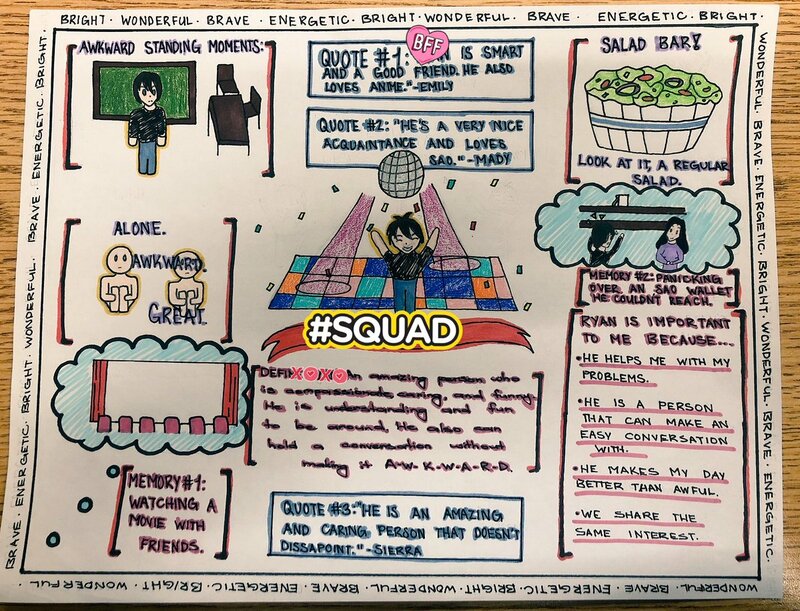 For example, my students who speak another language at home and my students who have learning disabilities tend to find one-pagers powerful pieces to show their learning. Teacher-made sample of a poetry one-pager. One of my favorite texts to use with one-pagers is poetry. 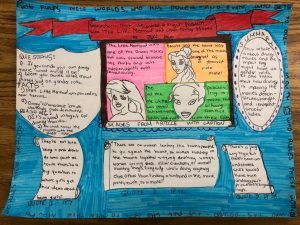 Poetry one-pagers are useful for interpreting the author’s intent and word choice, and lend themselves more easily to discussion and evaluation than a 500+ word essay. Some may question using this method of assessment with poetry, but when checking for deep comprehension: a key question to ask is, did the student connect with and comprehend the main aspects of the poem? If they are able to show this in a one-pager, why not try it? I believe that poetry should be read and consumed easily, and that in the same way, student work centered on poetry should be fun, creative, and manageable. Students read a non-fiction article and responded to it using the one-pager format. 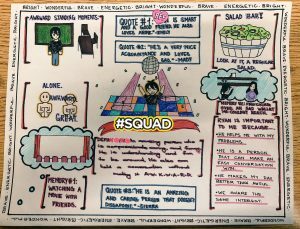 The purpose of this one-pager is to help you think about the ideas in the poem and relate them to your own life, as well as considering any issues the poem brings up. As with all one-pagers, you have freedom as to where things are placed on the page. Write the title of the poem and author’s full name. Quote a phrase or line from the poem and explain what you believe it means. Draw 5 images from the poem and caption the imagery that inspired each image. Create a border using a key phrase. Select a main idea of the poem and relate it to your own life. This can be done as a word cluster or an image cluster if you wish. Define 2 important words from the poem. One definition must be in your own words. Explain how you connect with this poem. Explain why a friend or family member might want to read this poem. Optional: Write a short poem inspired by the poem. Optional: Use color to liven up the images. 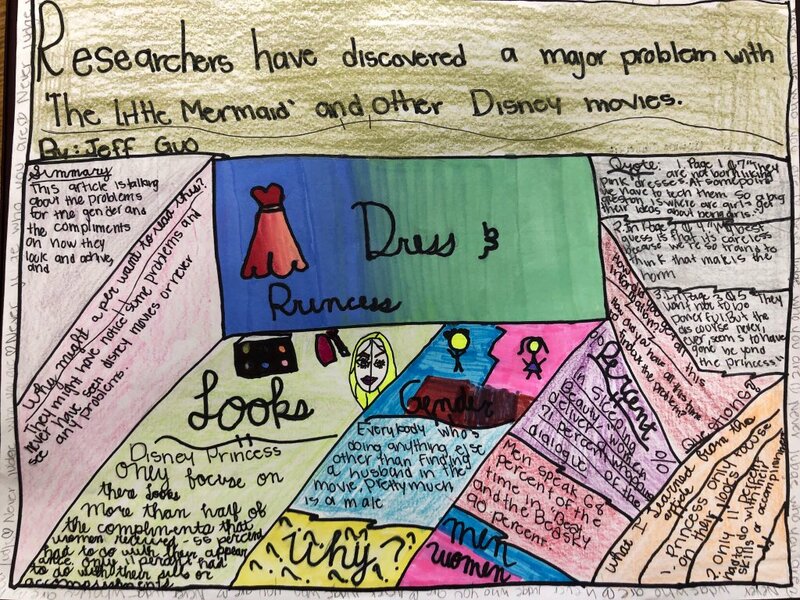 Students were asked to create a one-pager about a peer, tutor, or teacher on campus. Giving students creativity and freedom to show their love of reading should be an opportunity we afford our students. We must foster their love of reading so we can them to also love writing. One-pagers are magical in the sense that they make thinking and talking about reading fun again. 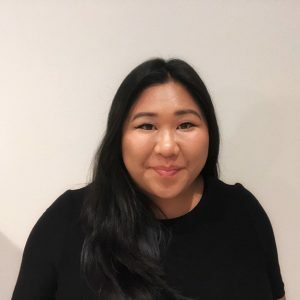 Jill Yamasawa Fletcher, NBCT, is an AVID college readiness reading and writing teacher on the island of Oahu, and a Hope Street Group Hawaii State Teaching Fellow.